We come to YOU! 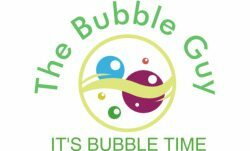 Our Bubble Parties kids entertainment program can come to your day care center, child care facility or residence throughout the Essex and Middlesex counties in Massachusetts, including Haverhill, Burlington, Gloucester and Methuen, AND York County in Maine. In most cases, Bubble Parties are performed outdoors, where children can be in an open space to enjoy the music and bubbles, and have plenty of room to run around. We are able to perform indoors, provided the space where the performance will take place is an open, fully carpeted space. Call us at 978-609-5347 for more information about our specific requirements for indoor performances. All decisions concerning inclement weather are made on the day and date of your scheduled performance. in the event of inclement weather, we would explore the possibility of performing indoors first, should you have a space that fits our requirements. If an indoor performance is not an option, we will re-schedule our services for your event to a mutually agreeable day, date and time. Due to the popularity of this program, and because we do reserve our services on a "first come, first served basis, we are unable to schedule "rain dates" in advance. Absolutely! A & B Music offers a variety of disc jockey entertainment for audiences of all ages. Click here to visit our website, or call 978-609-5347 to discuss the details of your upcoming event.